Syria, Lebanon, and Iraq are nearly fully under Iran’s control. It is the culmination of a decades-long plan. One cannot understand Iran’s imperialist intentions and the means by which it plans to accomplish them without understanding Shi’ism itself. • First, establishing an independent economy and social services for the Shi’ite community in Lebanon, making Shi’ites dependent on Hezbollah and independent from state institutions. • Second, linking Hezbollah’s ideology of resistance to the Shi’ites’ collective memory of the battle of Karbala in 680 CE, when an army sent by the Sunni caliph Yazid I defeated Imam Hussein ibn Ali, grandson of the prophet Mohammad. This battle is the root of the historical schism between Sunni and Shi’ite Islam, allowing Hezbollah to portray the strongest component of Shi’ite identity as part of Hezbollah’s resistance narrative. In effect, Ali and his family are equated with Hezbollah and their enemies with Israel. • Finally, linking all of this to Iran’s ideology of Wilayat al-Faqih, according to which Islamic judges have the right to rule over their people. Iran uses the concept as justification for its theocratic regime and sees it as the primary component of Shi’ism and its history, daily practices, and politics. This turns Iran, as the only country that is culturally, religiously, and economically ruled by Islamic jurists, into the main provider and protector of Shi’ism and its believers. By mobilizing Shi’ites around this narrative, Hezbollah became the most powerful leader of Shi’ites in Lebanon. It started to infiltrate state institutions through proxies and allies of Syrian dictator Bashar al-Assad, until they inherited all of Syria’s power over Lebanon in 2005, when the Syrian army withdrew. All of this led to the extreme politicization of the Shi’ite community, where politics and history combined to form a “sacred narrative.” During the 2006 war with Israel, this narrative was used to declare a divine victory. Tales of long-dead historical figures like Hussein ibn Ali and Sayyida Zeinab coming to protect Hezbollah fighters spread in the Shi’ite towns and cities until the Shi’ite narrative became a cause of its own. In effect, it came to define Shi’ite collective identity. 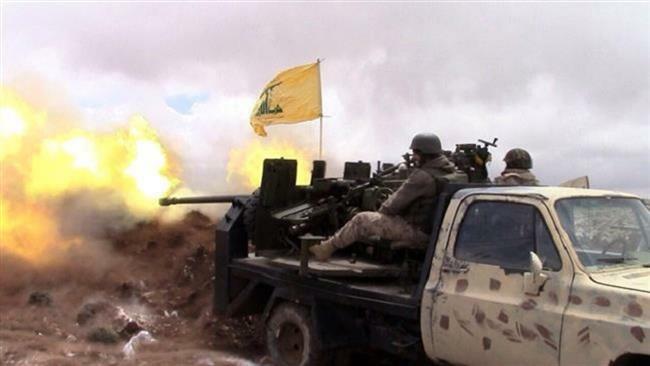 The Syrian civil war dragged Hezbollah into battle beside Iran, the main Shi’ite power in the region. Hezbollah and Iranian officials made it clear that the fight in Syria was going to be long and full of sacrifices. In 2015, Hezbollah leader Hassan Nasrallah reportedly said that the battle against the takfiris (apostates) is an existential battle, and will be fought to the end, even if two-thirds of Shi’ites have to die. As the Syrian conflict raged, the sacred narrative remained; public discontent was quelled for a time by comparing the battles in Syria to Karbala. Besides claiming to defend Shi’ite towns and shrines, Hezbollah started marketing its involvement as necessary to defend Shi’ite power and even the community’s very existence against the takfiris, exactly as Hussein ibn Ali did in the seventh century. Hezbollah also claimed that the war in Syria was a sacred battle that would pave the way for the appearance of the awaited Mahdi, the “twelfth Imam” who serves as a messianic figure for Shi’ites. It is believed that the Mahdi will suddenly appear with his army in Damascus carrying yellow flags and restore peace. But as casualties mounted in Syria, the Shi’ite community began to realize that the sacred narrative is not always a recipe for victory. Before the war in Syria, Hezbollah fighters and their supporters believed in resistance as a personal goal. Their aspiration to liberate their land was clear and had direct and concrete results. Hezbollah presented itself as the strongest and most credible resistance and military force. But that is not the case today. Hezbollah’s fighters no longer have an immediate and personal cause to fight for; they have become proxies for foreign powers. Moreover, fighting in Syria is more of an economic opportunity than a battle for existence. Hezbollah is still using its narrative of existential threat, but its fighters are there for the money. Hezbollah fighters in Syria sign a two-year contract with salaries between $500 and $1,200, and this is now the only option for many poor Shi’ites who have lost the opportunity to work in Sunni states because of Hezbollah’s sectarian rhetoric and isolation. In effect, they have become mercenaries for Iran and will have to go wherever they are required, be it Lebanon, Syria, Iraq, or Yemen. But the main issue that is directly affecting the Shi’ite community is Hezbollah’s money problems. Iran is still providing funds to Hezbollah, but it is also financing other Shi’ite militias in the region, primarily in Iraq. Hezbollah has been forced to reallocate more funds to its military operations in Syria, leading to a serious decline in social services. Without these services, popular support for the terrorist group has weakened. Divisions have also surfaced within the movement. For example, fighters are rewarded for their efforts while non-combatant members are expected to wait until victory for their compensation. Social services in general are now going to fighters and their families rather than ordinary Shi’ites. The three pillars of Hezbollah’s narrative are now falling like dominoes. The supposed resistance to Israel has become a sectarian fight between Muslims; Hezbollah’s social services have declined; and the sacred link to Wilayat al-Faqih is met with skepticism due to the rising number of young Shi’ites dying in Syria. But regardless, Iran has nearly already won. Today, Hezbollah, the Iraqi Popular Mobilization Units (PMUs), and Syrian army and pro-Assad factions constitute one force under the control of Iran’s Islamic Revolutionary Guards Corps (IRGC). This is a pan-Shi’ite army founded, funded and trained by the IRGC in order to consolidate Iranian control over the region. The PMUs are now being assimilated into the Iraqi army, and Lebanon’s government, including military and security institutions, is already in full coordination with Hezbollah. In Syria, Iran is the sole decision-maker in the area controlled by regime forces, which stretches from the Alawite coast up to Homs, the suburbs of Damascus, Qalamoun, and the Lebanese border. To complete its imperialist plan, Iran now only needs to link Tel Afar, which is under siege by the PMUs, to Syria via Sinjar. This should not be particularly difficult. By controlling the three capitals, fostering an army of almost 100,000 Arab Shi’ites under IRGC command, and maintaining a land bridge to consolidate its power, Iran will be firmly entrenched as a regional hegemon, controlling an territory that stretches from Tehran to Beirut via Baghdad. The day after Baghdad announced that PMUs would be folded into its military, Hezbollah was officially integrated into the Syrian army’s elite Fifth Corps. Iran’s militias in Iraq and Syria will soon have legal cover, protecting them from international accusations of terrorism. They will still get their orders from Iran, however, as both Iraq and Syria lost their status as independent sovereign states. In Lebanon, the case is different, as Hezbollah already has total control over state institutions. To maintain the regional corridor through which it deploys and supplies its proxy army, Iran has resorted to demographic changes, i.e., ethnic cleansing, mainly in Syria. The Sunni population of Homs and the Damascus suburbs has been evacuated over the past several years and moved to Idlib province. The residents of these areas, who were under siege for four years, surrendered after heavy regime bombardment and deteriorating humanitarian conditions. Assad’s “starve or surrender” tactics in these areas have forced many rebels to give up in exchange for basic needs such as food and medicine. The towns of Daraya, al-Waar, Ghouta, Zabadani, Madaya, Yarmouk, and other areas around Damascus are targets for ethnic cleansing. Recently, the Lebanese news website NOW and the pan-Arab newspaper Asharq al-Awsat noted that Iraqi families, particularly from Shi’ite-heavy southern provinces, are being moved to Syria to repopulate these areas. Harakat Hezbollah al-Nujaba, an Iraqi Shi’ite paramilitary force close to Iran, has reportedly overseen the resettlement of 300 such families, who were given homes and $2,000 apiece. These demographic changes are not new. Bashar Assad’s father Hafez actively populated Damascus and surrounding towns with Alawites and other minorities during his time as president. As I wrote in September, in 1947 “only 300 Alawites lived in Damascus (out of about 500,000 metropolitan-area inhabitants),” but by 2010 that figure had soared “to more than 500,000 (of about 5 million in the metro area), or a quarter of Syria’s Alawite community. More Alawites thus lived in Damascus than in any other Syrian city.” Bashar now appears to be escalating his father’s strategy into full-blown ethnic cleansing. Iran and its proxy militias are very involved in this process. 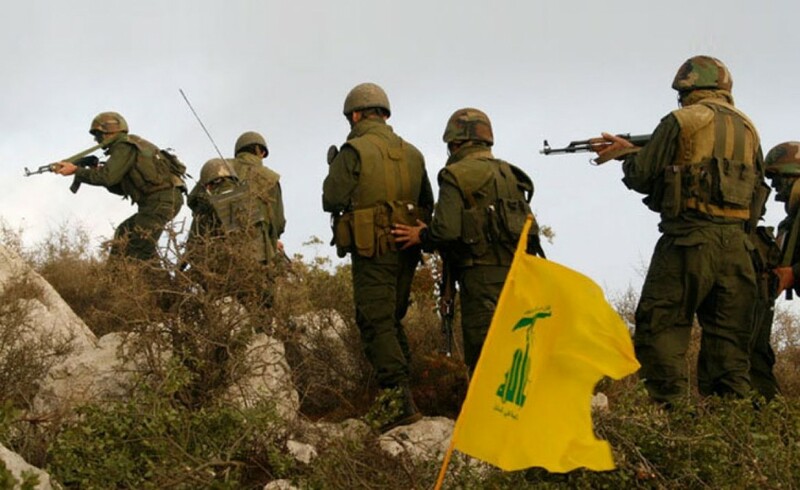 Hezbollah has already conducted ethnic cleansings of its own in certain areas along the border (e.g., its 2013 campaigns in al-Qusayr and the Qalamoun region). Moreover, hundreds of thousands of Sunnis were evacuated from Homs between 2011-2014, when a deal was finally struck with regime forces after starvation reached horrifying levels. As a result of these efforts, a corridor linking Qalamoun to Damascus, Homs, and an Alawite enclave is almost Sunni-free. In addition to shielding the capital from mainly Sunni anti-Assad forces, this gives Hezbollah safe access to the Golan Heights, potentially allowing the group to open another front against Israel. Iran could also use its reinforced grip over Syria and Lebanon to project more power against Israel, whether by supporting Hezbollah in the Golan or increasing its assistance to Palestinian groups like Hamas. It is one thing to implement a strategy, but it much harder to sustain it. Iran will probably reach its goal of a Shi’ite corridor very soon. But this will not be the end of the story. Iran will still be surrounded by a sea of Sunnis, all concerned by Iran’s growing hegemony. 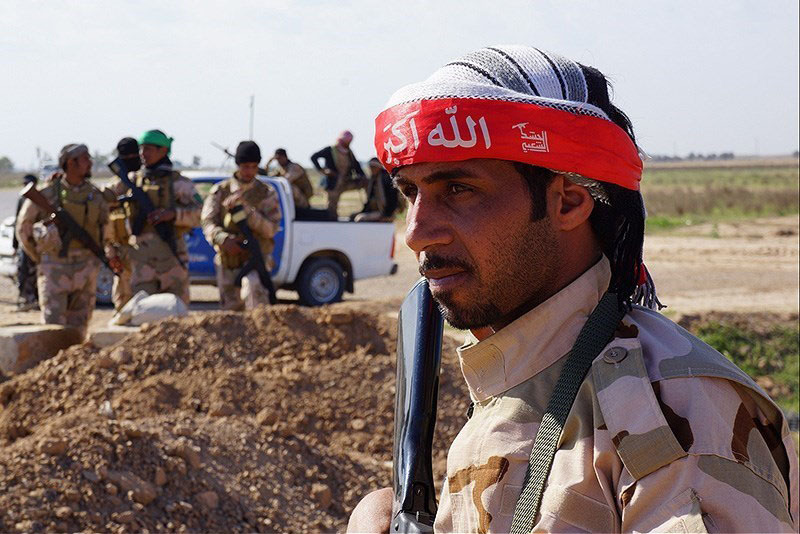 In addition, the deep-rooted divisions among and within the Shi’ite militias will further complicate Iran’s plan. For example, the rush to realize Iran’s strategy was preceded by shakeups in the hierarchy of Shi’ite militias in Syria. When Hezbollah entered the war in 2012, it was Tehran’s most trusted and capable force on the ground. The conquest of al-Qusayr confirmed its status as the right hand of the IRGC. Working directly under them, Hezbollah was trusted to head all ground operations and manage other Shi’ite militias. Although Iraqi Shi’ites fought for the group Liwa Abu Fadl al-Abbas, they were essentially under Hezbollah leadership, as were the numerous Shi’ite foreign fighters from Pakistan and Afghanistan. But when Hezbollah began to show weakness, mainly in Aleppo, and suffered more losses than expected, Iran called in Iraqi militias to assist the group. Today, the main Iraqi Shi’ite militia fighting in the Aleppo area is the Badr Organization, a political party with a massive military wing and one of the main components of the PMUs. Badr were not comfortable taking orders from Hezbollah. Given Badr’s successes, Iran decided to change the operational leadership in Syria: Hezbollah still controls Qusayr and the Damascus suburbs, but Badr was placed in charge of military operations in Aleppo and reports directly to the IRGC. This did not sit well with Hezbollah and its fighters. They saw themselves as Lebanese heroes, and did not appreciate being told that they were no longer Iran’s “spoiled child” or its most trusted proxy. The Iraqis, for their part, have the Najafi factor: The Iraqi city of Najaf is one of the holiest in Shi’ite Islam. For Iraqi Shi’ites, this is a source of pride and even a feeling of supremacy above all other Shi’ites in the region. As a result, when a Hezbollah hero and a Najafi Iraqi face off, hostility and jealousy tend to prevail over brotherhood, especially in a competition for leadership. Moreover, Hezbollah fighters are having a hard time working with Iranian officials on the ground. Hezbollah fighters in Syria have said in interviews that they are becoming more and more dissatisfied. They have been surprised by the Iranians’ weak military skills, discovering that they depended on Hezbollah for protection. They were disappointed with the Iranians’ attitude, which they felt was arrogant and condescending. They feel the Iranians don’t care when a Lebanese or an Iraqi dies. They don’t even negotiate over the bodies of Afghanis and Pakistanis, which are usually left on the battleground to rot. Hezbollah fighters are starting to understand that this is a relationship between a superior and his subordinates, and that they are mercenaries, not heroes. All of this has had serious consequences for Lebanon’s Shi’ite community, which is exhausted by the Syrian war. The effect has been particularly dire for the residents of Hezbollah-controlled neighborhoods. Many fighters return in body bags, and many more come back permanently incapacitated. The community as a whole has become highly militarized, with a tendency toward violence and intimidation, leading to a serious rise in crime, especially in the poorest neighborhoods. Lebanese Shi’ites have also become isolated, rejected by other groups in Lebanon and much of the Arab world. Despite the group’s claims, not all Lebanese Shi’ites support Hezbollah, but the community is widely identified with the organization. Accordingly, Shi’ites are struggling to find work in the Gulf or at Sunni-owned institutions in Lebanon. The situation is not aided by Hezbollah’s increasingly aggressive sectarian rhetoric. The community is altogether paralyzed by fear of the Sunni Islamists around them who, Hezbollah continually asserts, are trying to kill them all. Then there is the fear of Hezbollah itself, which is becoming more violent against Shi’ite community members, allegedly to stop crime and maintain security. This results in a vicious cycle: Lebanese Shi’ites are isolated because of Hezbollah, and thus feel they have no choice but to rely on Hezbollah and its resources. They do want to a way out, however. They are seeking an economic alternative, a new narrative, a credible leadership. But none of these currently exist, and in order to compete with Hezbollah, only a credible narrative with serious economic alternatives could work. This applies to Iraqi Shi’ites and Syrian Alawites as well. These people must be given a choice that could weaken Iran’s control on Lebanon, Syria, and Iraq. In addition to the challenges that Iran is going to face while building its hegemony, there are other consequences for the region. As Iran takes over parts of Iraq, Syria, and Lebanon, imposing a sectarian identity on Shi’ite communities, it will have to keep the money flowing to its “proxy citizens,” meaning that Iran will be in charge of all Shi’ites across this land bridge. But this will also mean that none of these states will be independent or sovereign. When these states break up, the void will not be filled by Iran alone. Most of the areas outside the land bridge will be filled by Sunni jihadists such as al-Nusra and ISIS. Nusra, ISIS, and other Islamist factions feed on sectarian tensions. Even if the U.S.-led coalition manages to push ISIS out of Mosul or even Raqqa, that does not mean the end of the terrorist organization. It will live on in people’s narratives, collective memory, and desire for revenge. With a more powerful Iran in the region, most Sunnis will be looking for an equally powerful and aggressive Sunni force. If this is not ISIS, it will be something just as bad. Sectarian rhetoric will not be weakened unless all sectarian factions are dealt with equally. Iran’s project to form a pan-Shi’ite army and establish hegemony over the region is almost complete. Shi’ites are part of it whether they like it or not. And the Sunnis are driven by the same forces of fear and violence. The result will be an endless war in a region that is already fragile. Not even partition would solve the problem, because the need for revenge and the desire for power will not be stopped by new artificial borders. The only way to improve the situation is to stop both ISIS and Iran from gaining more power in the region. Presenting viable economic alternatives would be a good short-term solution. However, a long-term solution can only involve helping both Sunnis and Shi’ites become citizens of their own states.